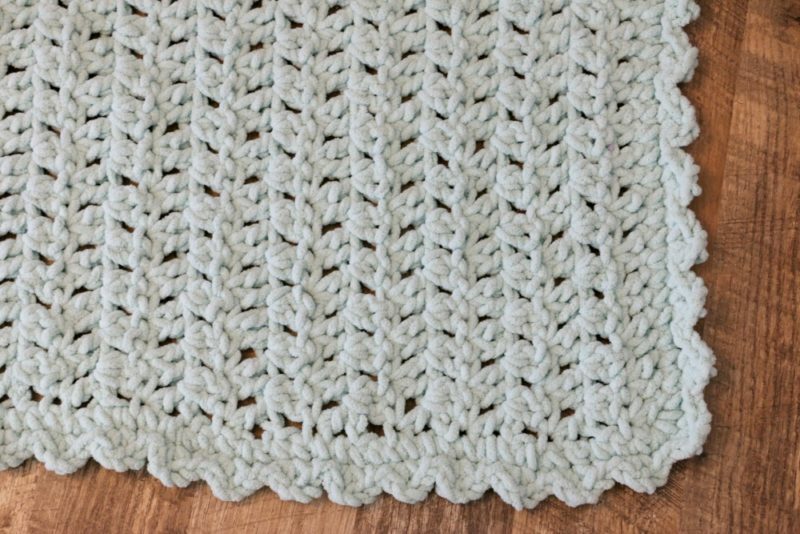 You are here: Home / Crochet / Crochet Baby Blanket with Easy Border! 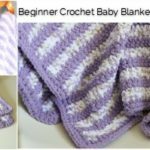 I am thrilled to bring you a highly requested video, how to add a border to the Easy Beginner Crochet Baby Blanket aka my top YouTube video and where many of you discovered my tutorials. 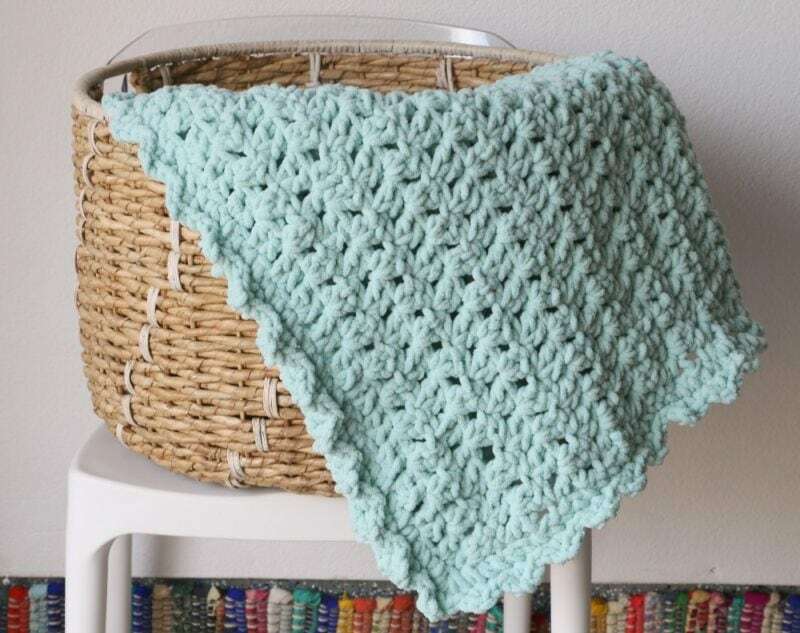 I decided to make this blanket with a smaller hook to show you how that would look as well as add a really simple border to the blanket like so many of you have asked for, what do you think? 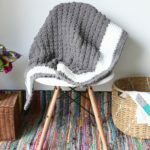 The body of the blanket is the same pattern as the original project. slip knot and chain 72 (needs to be a multiple of 6) Feel free to use a different kind of yarn if you like. skip a chain, 2 dc in the next chain and continue in every chain going down. Row 3: Repeat until you use up 2 balls of yarn. 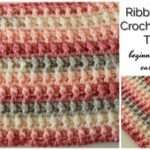 Begin using the 3rd ball, but only use about a 1/4 to leave enough yarn for the border. 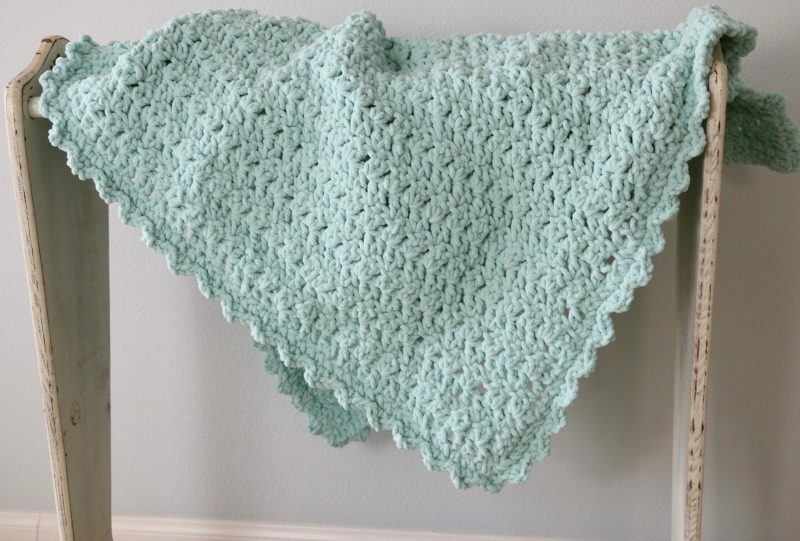 Once you finish crocheting the main body of the blanket, do not fasten off. Begin to sc down the left side of the blanket all the way down. If the stitches are “pulling” you have too few, if they are “rippling” you have too many. 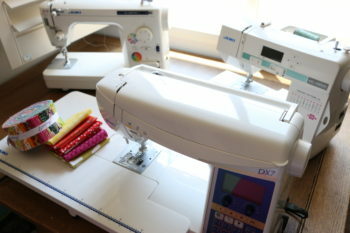 Make sure the sc stitches are laying flat. Add 3sc in the 4 corners and complete all 4 sides. 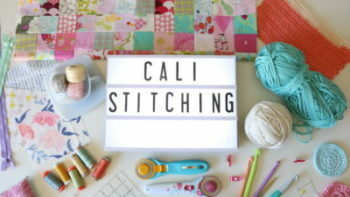 Try to make sure there are a similar number of stitches on the opposite sides. End the sc border round with a slip stitch. 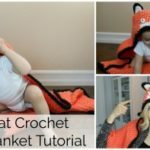 sc in the next stitch, ch 2, sc in the same stitch (creates a small shell). Continue this all the way around the edge and slip stitch to finish, weave in ends. 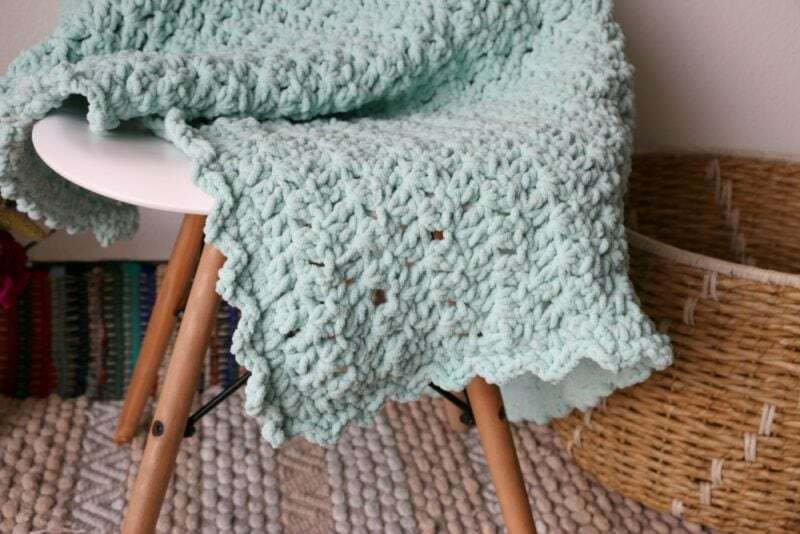 The post includes the instructions for the entire blanket, but I will link the original blanket video as well as the video tutorial for the blanket here too! 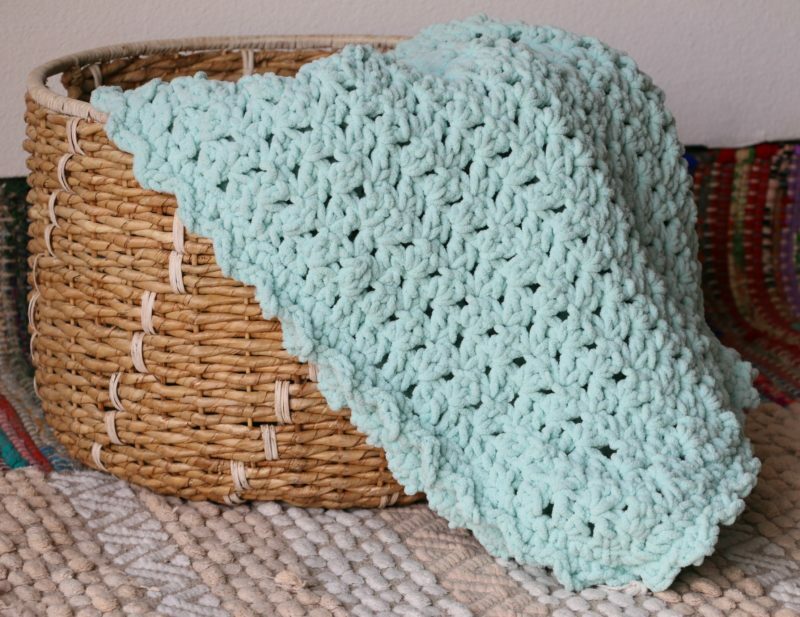 Can’t get enough of these easy baby blankets with the blanket yarn? Here are several more projects for you to check out!